Grand Canyon’s legendary backcountry offers profound beauty and solitude to those willing and able to venture below the rim. However, the vast majority of visitors (over 90%) enjoy the grandeur from the top due to the challenging nature of trekking in and out of the canyon. The same rugged terrain that draws enthusiasts from around the world makes the service and repair of critical inner canyon infrastructure a monumental task for National Park Service (NPS) maintenance teams. During the months of March and April, NPS crews will be repairing the Indian Garden pump house and the Black Bridge. 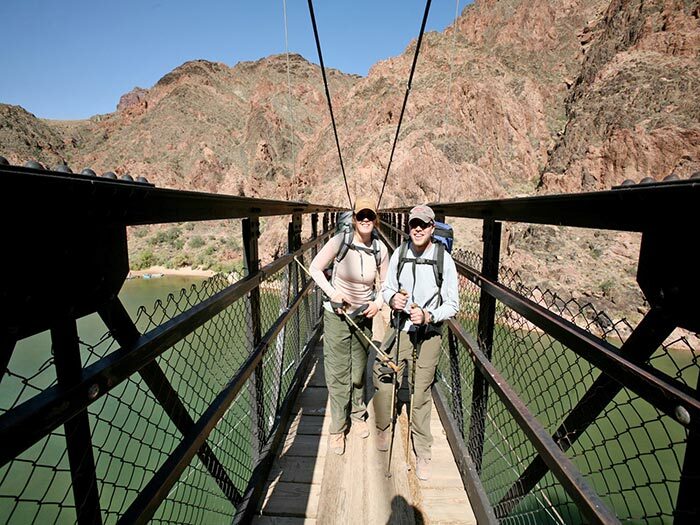 The latter is one of only two foot bridges traversing the Colorado River throughout the 277-mile length of the canyon. Anyone venturing down the Bright Angel and South Kaibab Trails this spring is likely to experience a greater-than-usual level of activity in terms of work crews and helicopters. Detours and delays are also to be expected along both trails. The work is scheduled to be completed by the end of April.